Those working on a recent film shoot for Todd Phillips' Joker movie apparently found themselves in a rather unpleasant situation, to say the least. According to reports, a group of extras were locked in a subway car during the shoot, with no access to a restroom. Claiming to be denied bathroom breaks over the course of hours, many of the extras wound up relieving themselves directly on the train tracks. It goes without saying that this was an uncomfortable situation for everyone involved, and the incident has already prompted an investigation from the studio. Again, we'll reiterate that this is something that happened behind the scenes. Locking a group of workers in a subway car and denying them access to a toilet seems like something the Joker himself would do. The extras say they were locked inside for over three hours, with many calling for necessary bathroom breaks at the two hour mark. With their requests reportedly denied, those who could no longer hold it would urinate on the tracks through the small spaces between cars. Now safely on the outside, those locked in the subway car are now looking for some resolution by cluing in the powers that be to their icky situation. The Screen Actor's Guild (SAG) sent a representative to investigate after becoming aware of the situation, and will continue to monitor the set as well. The studio, Warner Bros, has also learned about the complaints, launching an internal investigation of their own. It's unclear who was involved or if any disciplinary action will be taken, but with more eyes on the production, similar issues will hopefully be avoided for the remainder of the shoot. The film may be about a rather wicked character, but no studio wants to be accused of allowing workers on their productions to be mistreated. This story's details are in line with what we've seen from the movie so far. Much of the film's leaked Joker footage has revealed Joaquin Phoenix in character as the titular Clown Prince of Crime, surrounded by extras during a scene in the subway. Joker's look was initially met with mixed opinions from the audience, but thanks in part to the sneak peeks and video clips, more and more fans are warming up to it. Completely unrelated to the other movies in the DCEU, Joker will be much more grounded as more of a classic crime film than a superhero movie. 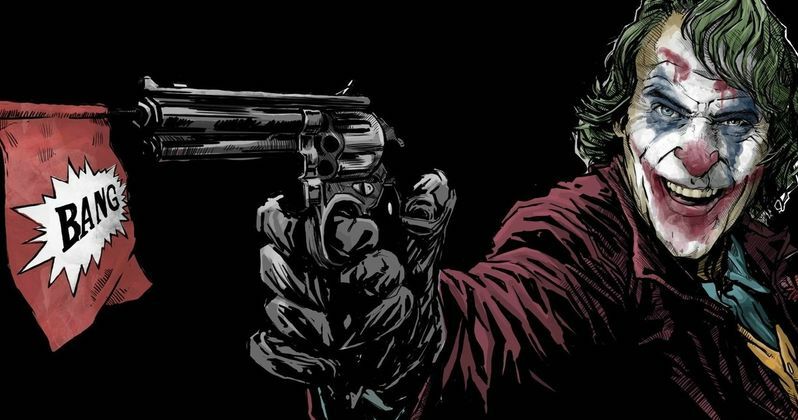 Directed by Todd Phillips and co-written by Phillips and Scott Silver, Joker will be hitting theaters on Oct. 4, 2019. The prequel film will explain how a clown in Gotham City becomes a criminal mastermind following the failure of his comedy career. There's no word on if Batman or any other major comic book characters will appear, but the Caped Crusader's father, Thomas Wayne, will reportedly be in the film. With SAG keeping an eye on things, production on the film will continue, but hopefully someone hosed down those tracks. This story comes to us courtesy of TMZ.